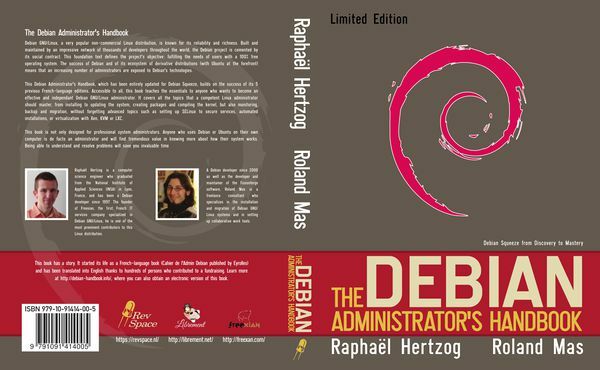 At Revspace we have made a custom print of the Debian Handbook. In total, 16 copies were printed based on the published pdf and a custom front/back cover, created by Juerd. If there are enough people interested (minimum run: 10 books) we could do a re-print. Cost would be €20,- each. This page was last modified on 10 November 2014, at 13:02.